This will give you approximately 60 minutes in the aircraft, enough to fly around the local area and experience the controls of this wonderful aircraft. One hour lesson in a gyrocopter. On arrival you will have a short briefing before being taken to your gyrocopter. Once safely strapped in you will take to the skies for your flight. 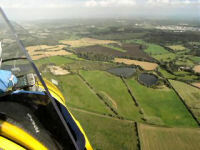 This will give you approximately 30 minutes in the aircraft, enough to fly around the local area and experience the controls of this wonderful aircraft. 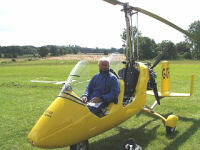 30 minute lesson in a gyrocopter. 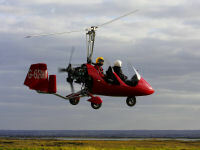 On arrival you will have a short briefing before being taken to your gyrocopter. Once safely strapped in you will take to the skies for your flight.